Falling Skies chronicles the chaotic aftermath of an alien attack that leaves most of the world completely incapacitated. In the six months since the initial invasion, survivors band together to begin the difficult task of fighting back against the aggressive aliens. Outside of Boston, history professor Tom Mason (Noah Wyle) helps lead a small army named 2nd Massachusetts in the battle of their lives to preserve their families and what'.. It's been nearly one year since the aliens attacked - reality has set in, and it's a whole new world. Season two of Falling Skies follow the 2nd Massachusetts on their quest to Charleston, South Carolina to find more human survivors and fighters from the continuous alien attacks. Tom Mason (Noah Wyle) tries to keep the resistance fighters and his family in line, while new dangers and returning enemies seem to greet them at every stop. F.. 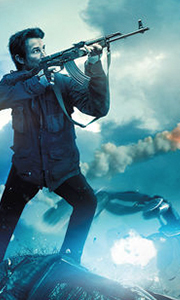 Season 3 of Falling Skies opens seven months after the 2nd Mass arrived in Charleston. In the interim, Tom has been elected as president of New Charleston, but he has his hands full as the struggle for humanity's survival continues. The resistance now faces an enemy who has become more resourceful, more pervasive, and even more merciless. But the 2nd Mass may have an upper hand when they are joined by powerful new alien allies. Now they.. Falling Skies Season 4 returns after dismantling a major Espheni base to find that the nightmare is only just beginning. On the outskirts of Charleston, just steps away from perceived safety, the Mason Clan and the remaining 2nd Mass suddenly find themselves under brutal attack by a new Espheni war machine - and a deadly creation unlike anything previously encountered. As they struggle to reunite the family after months apart, Tom and t..
All breed of beast and mutant are running rampant on Earth. The Espheni's power core has been destroyed, and humans are now ready to fight on their terms, even if it means resorting to hand-to-hand combat against the enemy. After four years of being tortured, imprisoned, mutated and having their loved ones stolen from them, Tom and the 2nd Mass are filled with rage, ready to destroy the enemy in an all-out battle to determine the fate o..
All breed of beast and mutant are running on Earth. The Espheni's power core has been destroyed, and humans are now ready to fight on their terms, even if it means resorting to hand-to-hand combat against the enemy. After four years of being tortured, imprisoned, mutated and having their loved ones stolen from them, Tom and the 2nd Mass are filled with rage, ready to destroy the enemy in all-out battle to determine the fate of Earth.S.. Falling Skies opens in the chaotic aftermath of an alien attack that has left most of the world completely incapacitated. At the center of the series is Tom Mason (Noah Wyle), a Boston history professor whose family was torn apart. Tom must put his extensive movement known as the 2nd Mass. Joining him are Moon Bloodgood (Terminator Salvation) as Anne Glass, who becomes the primary medic of the 2nd Mass, and Will Patton (Armageddon, TNT'..
All five seasons of TNT’s top rated show Falling Skies is available in a complete box set on Blu-ray and DVD! Falling Skies: The Complete Series follows the chaotic aftermath of an alien attack that has left most of the world completely incapacitated. The few survivors have banded together outside major cities to begin the difficult task of fighting back. Each day is a test of survival as citizen soldiers work to protect the people in t..